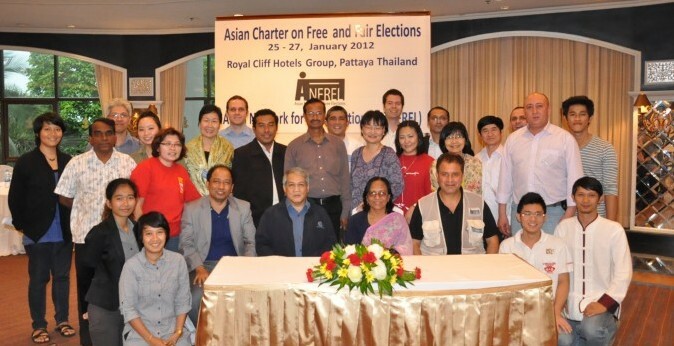 On December 10 and 11, 2012, representatives of Asian electoral management bodies and civil society organizations met in Bangkok for the first-ever regional gathering of these two often disparate groups to promote democratic, transparent elections on the world’s most populous continent. The Asian Electoral Stakeholder Forum (AES Forum) convened a two-day conference with participants from 11 Asian electoral management bodies and 30 Asian civil society organizations (representing 17 countries) devoted to advancing the cause of free and fair elections. Guests from the Libyan, Australian and Mexican electoral management bodies, as well as observers from foreign embassies in Bangkok and from governmental and non-governmental bodies based in Europe and the Americas, were also on hand to witness the event.